Sheila Be and Phast Phreddie the Boogaloo Omnibus swing at the DYNAGROOVE: SOPHISTICATED BOOM BOOM!! 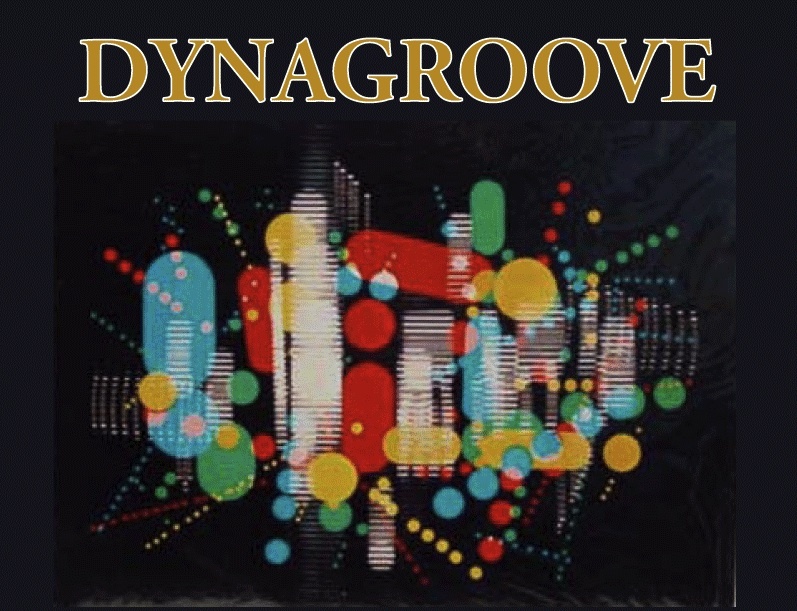 This year, the February DYNAGROOVE landed on the day before Valentine’s Day. Host DJ Phast Phreddie the Boogaloo Omnibus thought it would be a perfect time to showcase the artistry of the many fabulous female acts that have recorded through the ages, and thus declared the night another SOPHISTICATED BOOM BOOM with guest DJ Sheila B—the internationally renown queen of the girl group record! 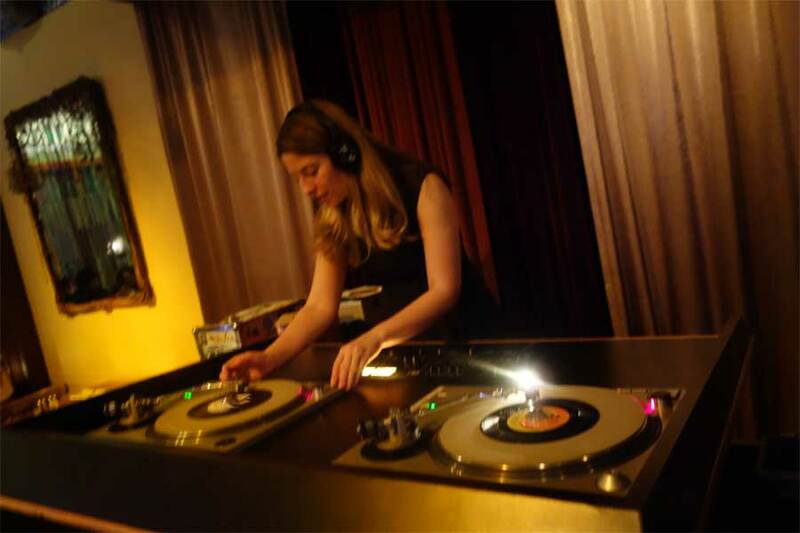 Sheila B produces maximum groove at the DYNAGROOVE! 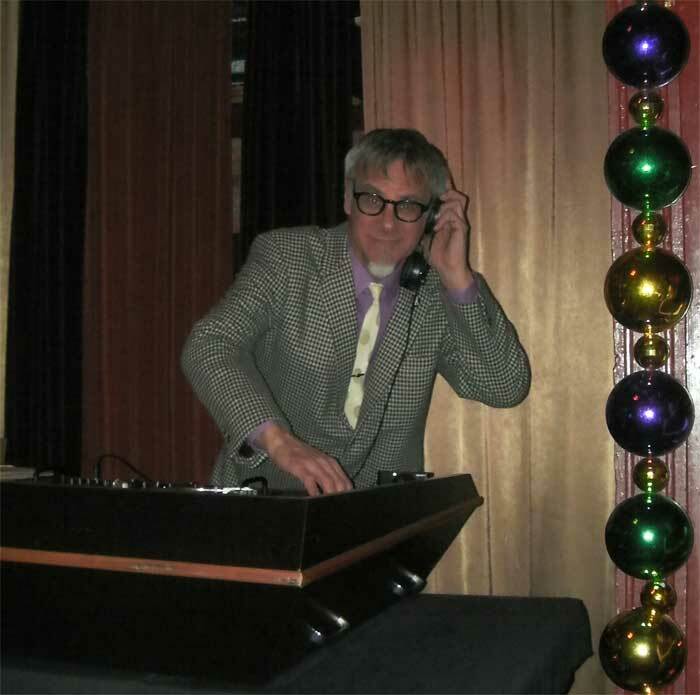 The Boogaloo Bag writers first observed DJ Sheila B in action at a Smashed!Blocked! event some time after the turn of the century. She was able to keep the dance floor jumping with high-energy, female-sung pop songs. Her Cha Cha Charming interweb thingie is among the most intelligent and interesting of all personal websites/blogs. One of her greatest achievements is to have been the associate producer and liner note writer for One Kiss Can Lead to Another: Girl Group Sounds—Lost & Found (Rhino), a wonderful 4-CD collection that comes in a package shaped like a hat box. She is also quite keen on international releases, especially those from England, France and Japan. “Japan?” you may ask? Dig these excellent compilations of women Japanese singers that Miss B assembled for Big Beat/Ace UK records! 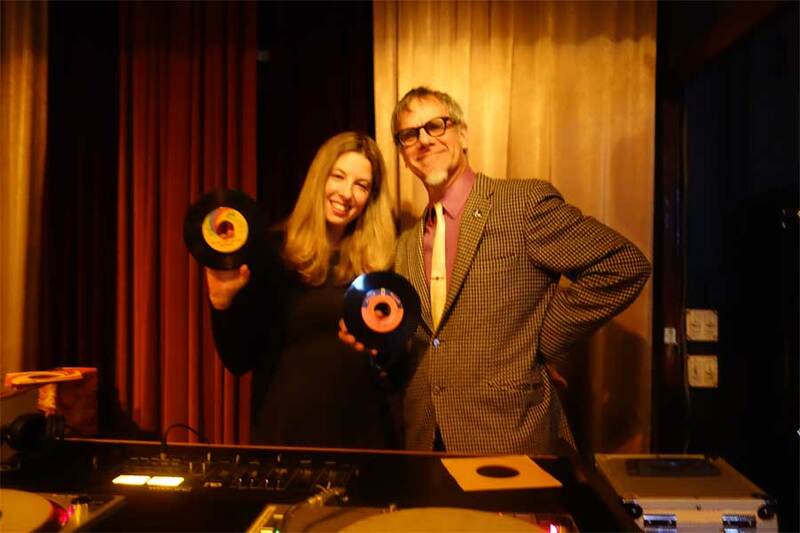 Also, Sheila B has recently commenced her own DJ night, Sh-Boom!, a collaboration with our pal Josh Styles that takes place at Baby’s All Right in Williamsburg, Brooklyn. Phast Phreddie the Boogaloo Omnibus adds a little Boom to SOPHISTICATED BOOM BOOM!! All for the Love of the 45!